i am happy that i have been working with our mixed reality software for the last years. 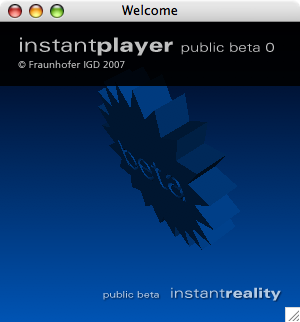 this weekend johannes finally released the public beta 0 of the instantplayer at Web3D 2007 in italy. it was a lot of work during the last weeks to setup the application, the whole design and the website. finally this great platformindependent piece of software is available to the public for os x and windows. Previous Previous post: some new bubble mirror screens..